Hooray! Hooray! Today is the day! Today marks the start of a new Annual Catalog. Oh my goodness! You are going to love this Catalog. The cover is so very pretty. It shows off the brand new Delightfully Detailed laser-cut paper amazingly well. You are going to flip when you see the level of intricacy of this paper. I can also assure you that the inside of the Catalog is just as amazing as the cover. Every time a catalog retires, I get nostalgic for all those great items that are retiring… right up until I see the brand new Catalog. And then I think, yep, this next Catalog is the going to be the best Catalog ever. Every. Single. Time. If you are a current customer of mine, you will receive a free Catalog. 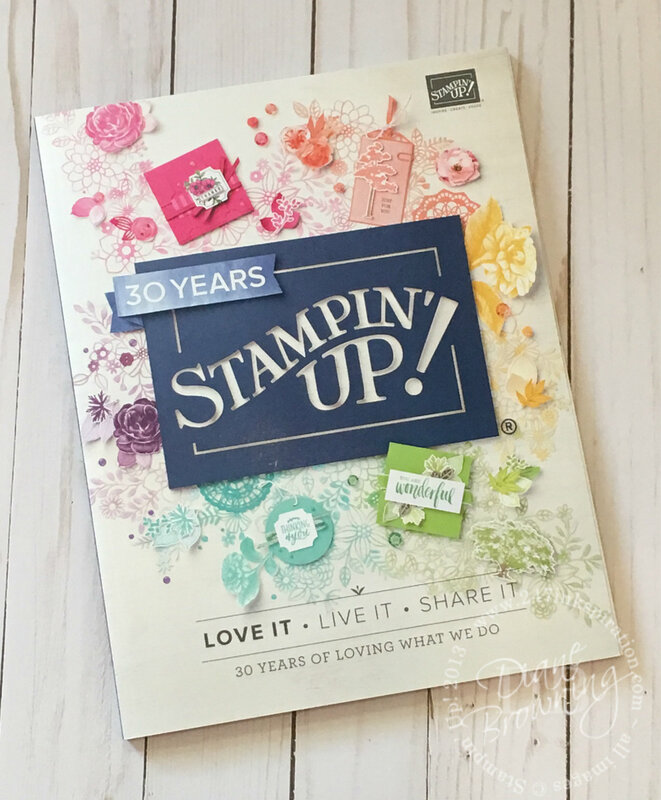 If you are not a current customer and don’t have a Stampin Up Demonstrator, contact me and I will get a Catalog to you. And now for today’s project, which uses the amazing Garden Impressions Suite of products. I haven’t decided which part of this Suite is my favorite, the stamp set, the dies, or the paper. It is all so gorgeous. When you pair the paper with the stamp set, it is magic. This stamp set contains several different sentiments. “If flowers were hugs, I’d send you a thousand”. What a lovely way to tell someone you love them. This is definitely one Suite that you don’t want to miss out on and… it’s available starting today!